A tremendous opportunity to live in an area of multi-million $ homes at a fraction of the price! 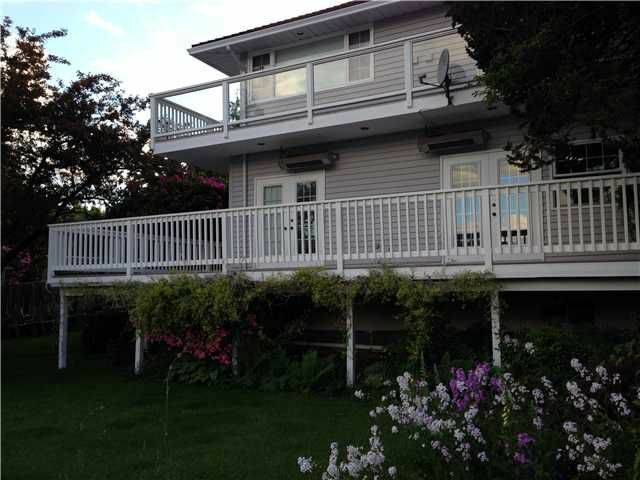 Surrounded by mature landscaping, sunny decks & a majestic ocean view this solid "Provencal Style" home has been rebuilt over the years so its effective age is approximately 25 yrs. Just a hop & skip to waterfront parks, shopping mall (Starbucks!) and terrific schools. Delight in nearby public & private golf courses, skiing, world renowned hike & bike trails, water sports & an abundance of parks. Floor plan suits a small family or empty nesters and has plenty of room to grow. Exterior is freshly painted, move right in and enjoy then add your own personal touches.